If you like crosswords we present you eCrucigramas , a great game for iPad with which you will enjoy hundreds of different crossword puzzles with which you will spend hours and hours of guaranteed fun. The game eCrucigramas has a clear and simple interface that has been designed specifically to be able to enjoy the most of the crosswords on the iPad as we have never done before. 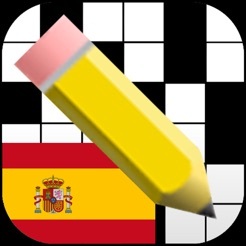 We are facing the first set of crossword puzzles created entirely in Spanish, however, we can also enjoy them in English and thus practice that language at the touch of a button. Until now, we were used to having to carry pencil and paper every time we wanted to enjoy a crossword wherever we went, but that is over. With eCrucigramas we will have at our disposal 1,400 exclusive crosswords classified into several packages that have been created specifically for this game. Just install eCrucigramas we will have pre-installed and ready to play a package with 80 crosswords in Spanish and 80 crossword puzzles in English . In addition, we will also have the possibility of acquiring another 4 packages through the application (Spring, Summer, Autumn and Winter). But that’s not all, but you can also download any crossword that is in .PUZ or .XPF format and play from your iPad.game eCrucigramas has a novel help system that will allow us to continue in various ways when we become blocked in a word. For this we can navigate through different tracks, check or enter a letter or word, recharge the crossword and even share it with our friends through email, Twitter and Facebook to help us and help us solve it.